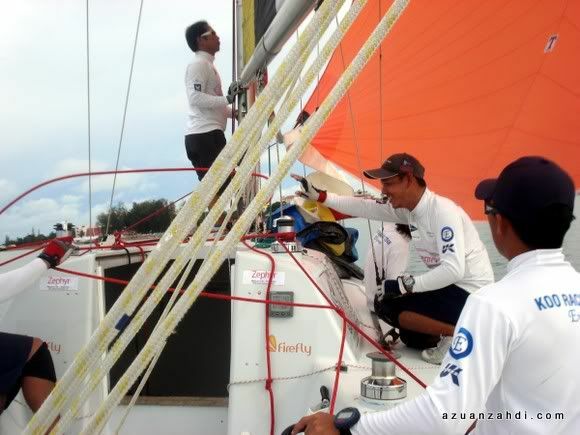 Click here to read my Part 1 experience of Monsoon Cup 2010. 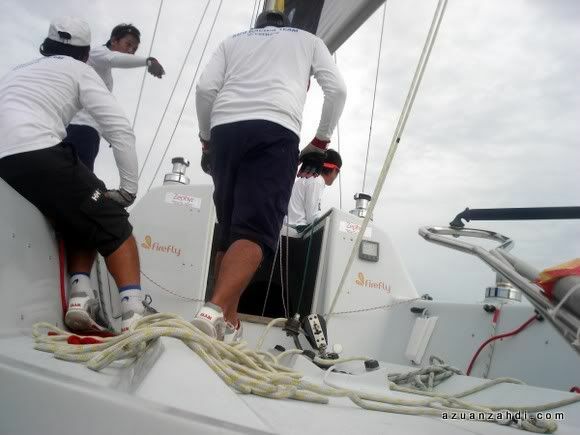 Monsoon Cup experience is not complete without the sensational experience of witnessing the top teams racing for the championship. 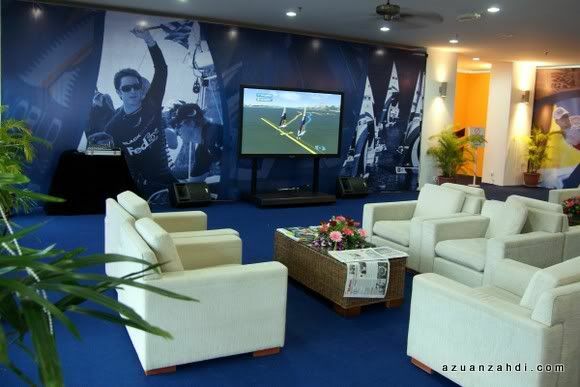 What better way to watch the race other than being on one of the yacht itself. I was glad to be offered with the hot seat pass that not only gave me priority access to be on the hot seat but also access to the hospitality lounge. 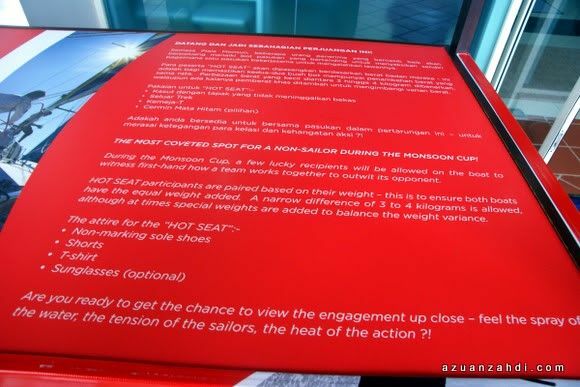 The hot seat is a unique experience that allowed selected spectators an opportunity to join the crew of each competing boat as they sailed round in the earlier competition rounds. After a short wait at the lounge, I was called up to the booth for a short briefing. A group of young but knowledgeable (and good looking!) Monsoon Crew prepared me and 5 others for the hot seats on flight #12. 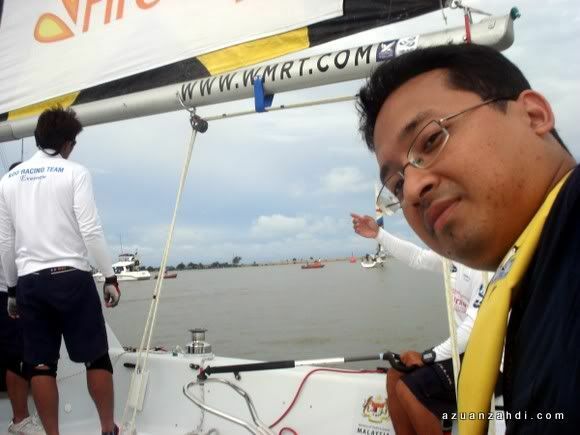 To my surprise, I was assigned to be with the Koo Racing Team or better known as Malaysian team led by skipper Jeremy Koo! Yea!!!! 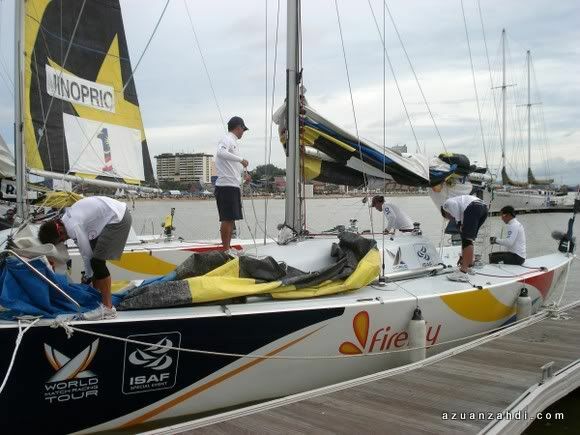 I was welcomed by the friendly Mr Jeremy and his team the moment I stepped into his boat. Despite the ‘Malaysian Hospitality’ treatment, don’t be fooled by the smiling faces as the moment the race started they all had their game face on! We were up against the Minoprio Team. 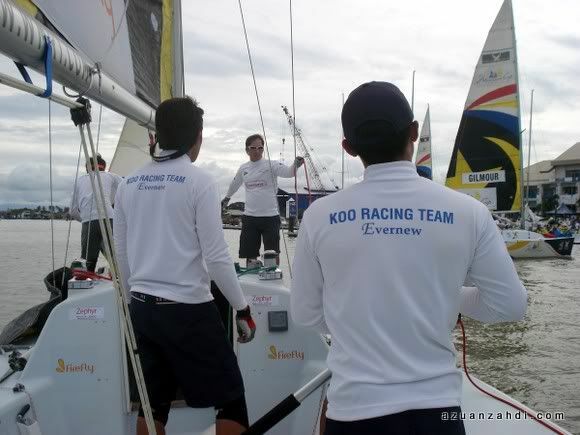 Despite losing the previous flights and with no wins in hand, team Koo gave their 110% at every second of the race. One thing I love about this race is the teamwork element! It’s all about team spirit, togetherness and working together. 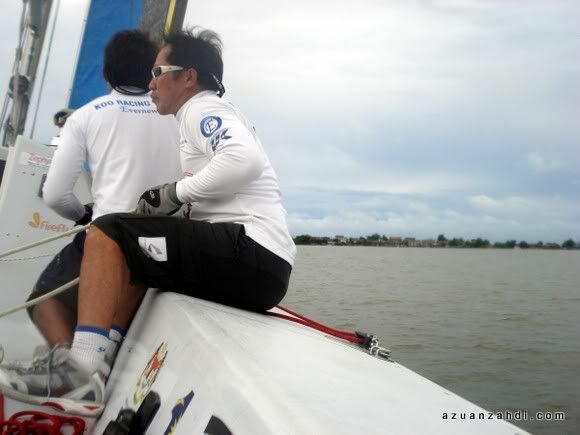 I admire the leadership qualities of a skipper like Jeremy Koo. He knew his stuff, led by example and at the same time respect the opinion of others. 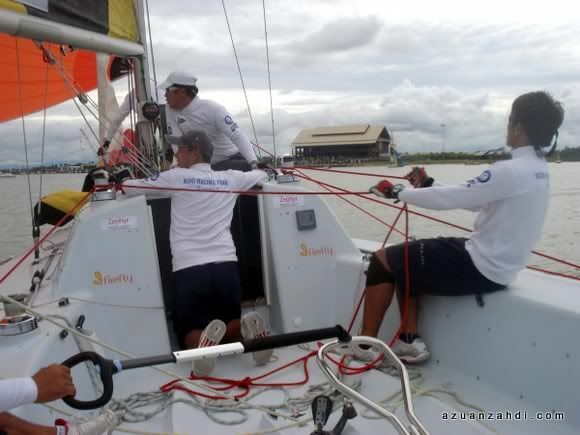 To some extent on some recent business presentations that I presented, I did quote the example of a boat race as a great teamwork example. 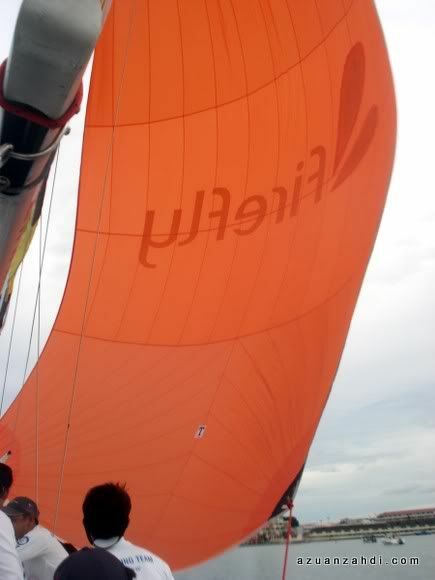 I was glad to be on the Malaysian boat. They actually speak in English, Malay and Mandarin! 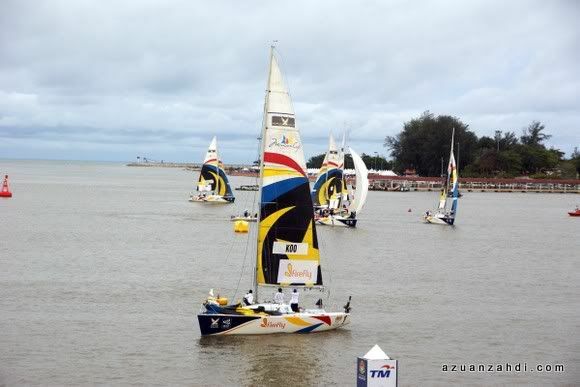 A true 1Malaysia team! Within seconds I agreed and stayed on for a total of 35 minutes in total! A memorable experience and worth the trip definitely! 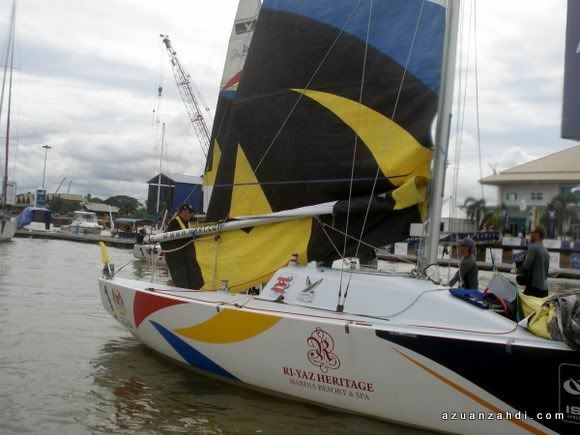 Someone asked me why did I attended this year’s Monsoon Cup despite already experiencing the same thing last year. 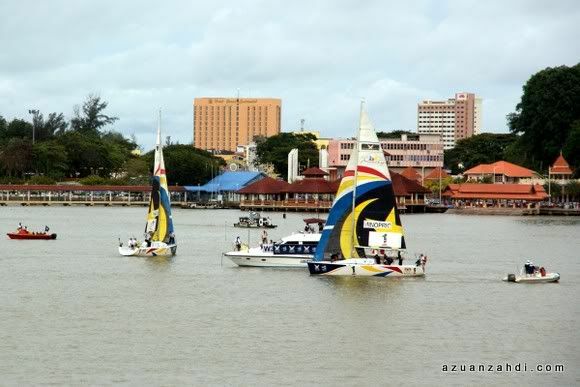 All I can say is that there is something about this boat race and the event and Terengganu that I can relate to myself. 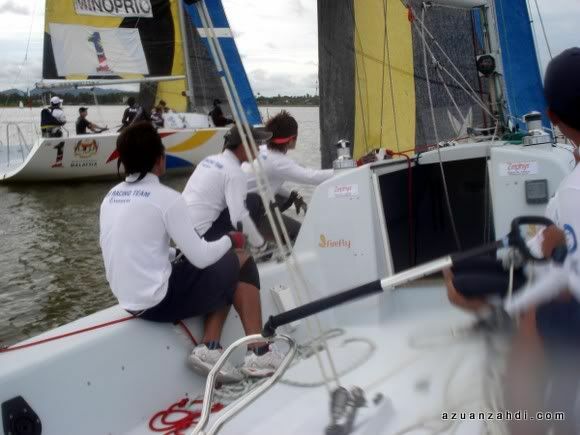 See you in Monsoon Cup 2011! 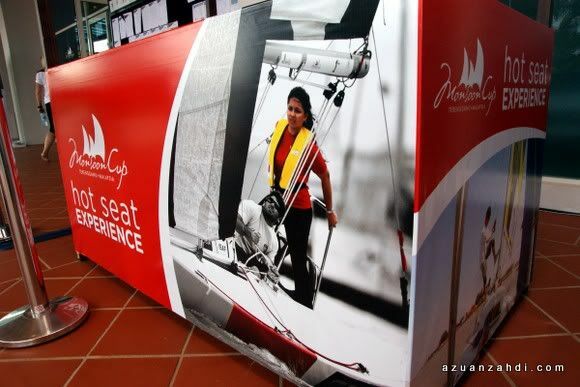 Planning for a trip to the Monsoon Cup? Not sure where to stay? Check out AGODA’s website (click the banner below) for a one-stop comparison of all hotels in Kuala Terengganu and other places in Malaysia from budget to 5-star. I am personally an AGODA fan and have saved a lot on my accommodation cost for my travels. hey, ur face looks familiar..”would u like to try our hot-seat sir? ?”..hahaha..we met at Monsoon Lounge, i am one of the hospitality crew..btw it was a great exprience though, rght? 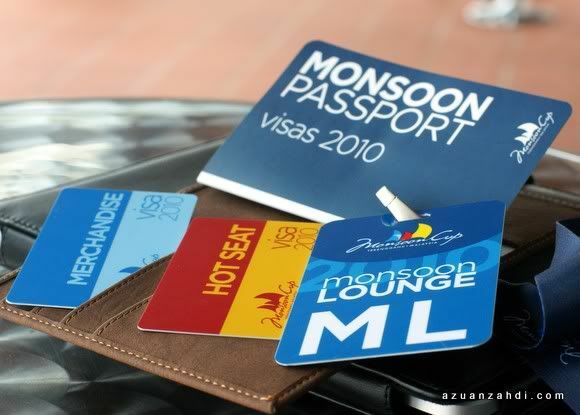 ?…hey,i’m kind remember where’s the picture that i took for u at the Monsoon Lounge? ?..hahaha…naaaaahhhh, i’m sure that e picture looks bad, ‘coz i’m not really good in photography..hahahahaha..hope to see u again some other time k..